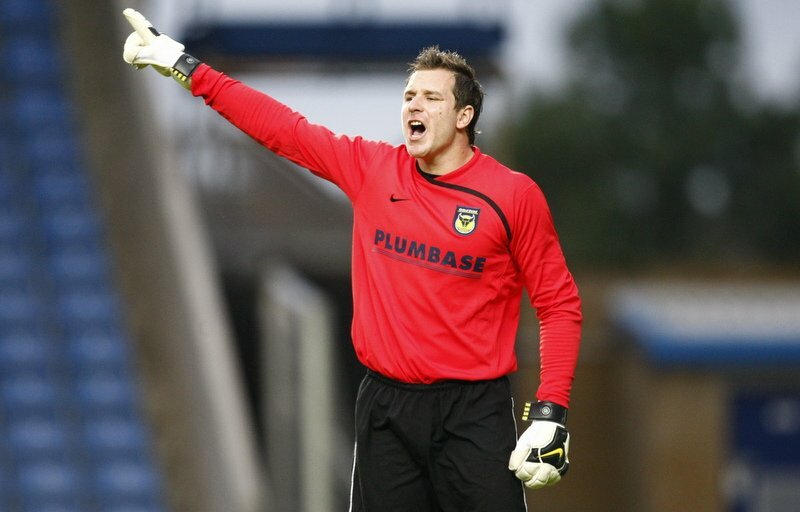 Former Oxford United goalkeeper Ryan Clarke is hailed as a hero at the Kassam Stadium, a legend; but he is also an inspiration to many, whether they are football fans or not, having opened up about his battle with depression. 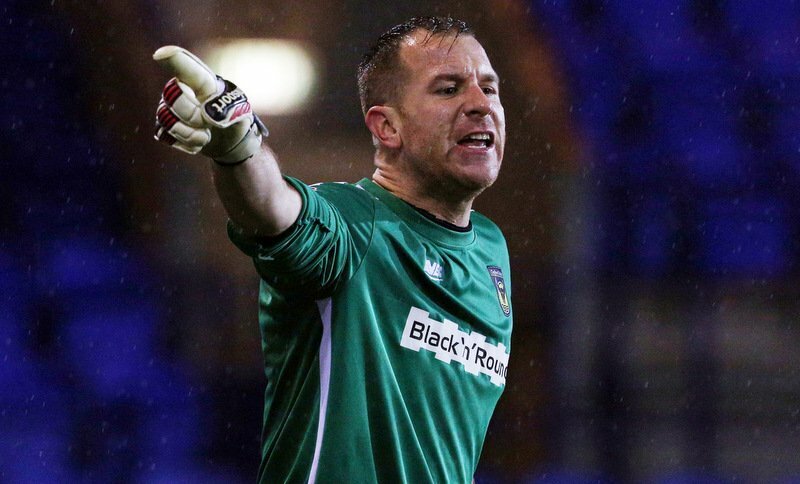 The 36-year-old, who is currently playing for National League South side Bath City, made 264 appearances in all competitions for the League One club, following his arrival from non-league Salisbury City back in May 2009. 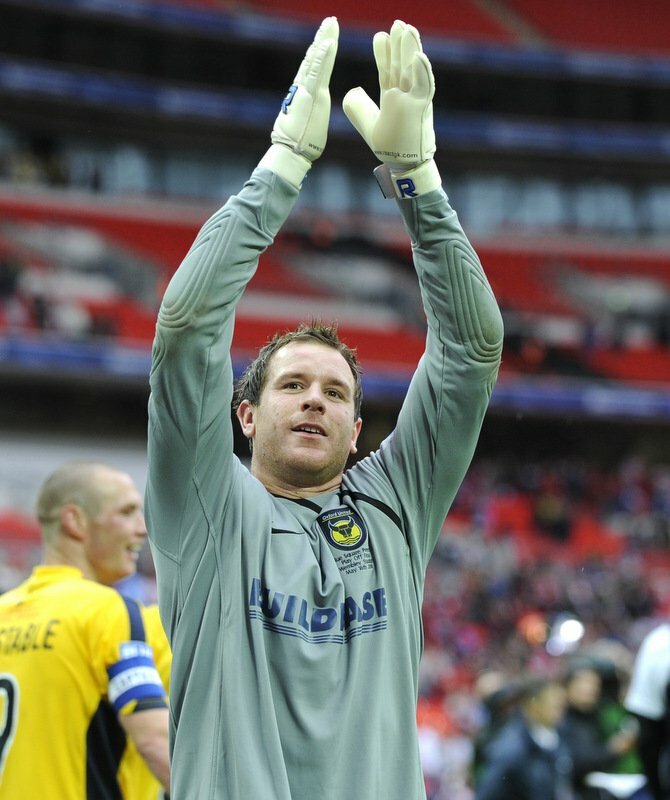 Clarke became a firm fans’ favourite among Yellows supporters during his six-year spell at the club, and the shot stopper played a key role in Oxford’s promotion back to the Football League during the 2009-10 season, defeating York City 3-1 in the Conference Premier play-off final at Wembley Stadium. 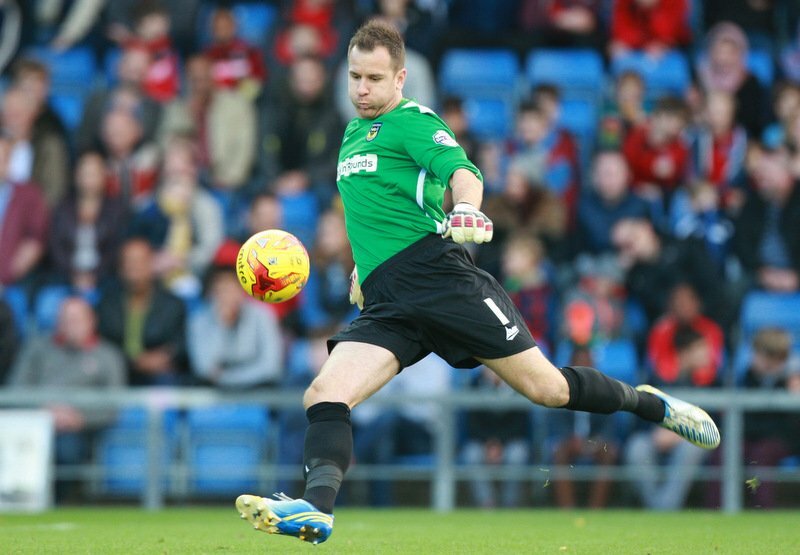 However, his stay at Grenoble Road took a shock turn for the worse in the summer of 2015, as manager Michael Appleton deemed the club’s longest-serving player surplus to requirements ahead of the new campaign, before the ‘keeper left Oxford by mutual consent. Soon after, Clarke signed for Northampton Town and sealed a reunion with former U’s boss Chris Wilder at Sixfields. But, that transfer proved to be a mistake. One that sadly set off battles with injuries and depression, and coupled with family bereavements and even cancer scares down the line, the player admitted, “I got to such a low point that I had to go and speak to the PFA (Professional Footballers’ Association) and seek help” as he was “weak as hell”. SHOOT Editor Dan Church sat down for an exclusive, in-depth interview with the Oxford legend; who opened up about his mental health story, his fabulous family, his successful six years at the Kassam, why United was the best club he has ever played for, his career highlights and lowlights, his future in football; plus the good, the bad and that blunder at Wembley! Below is the full, unedited and uninterrupted interview transcript. Enjoy! Goals buying @OUFCOfficial hero Ryan Clarke a bacon sarnie and speaking with him for over 90 minutes for an exclusive for SHOOT. Clarke opened up about his six-year spell at #OUFC – the good, the bad, the ugly, and the damn right weird! Ryan: “For me, because I had done my apprenticeship with Bristol Rovers, which was the club that I supported as a boy and played for them, so that was huge for me. Getting released from there was the lowest point of my career. But having worked so hard, dropping into non-league and to work my way back up and get to a club like Oxford, that size, was brilliant. “If I am totally honest, I didn’t realise the magnitude and the size of the club, not until the first game of the season against York [City] really, and when we won in the last minute. To realise how big the club was, I felt very honoured and privileged to be playing for that club, than any other club at that level. When we were going to away games, and we were taking that amount of fans, it was like, ‘God, you don’t see this very often!’ Especially at this level, let alone League Two or League One. 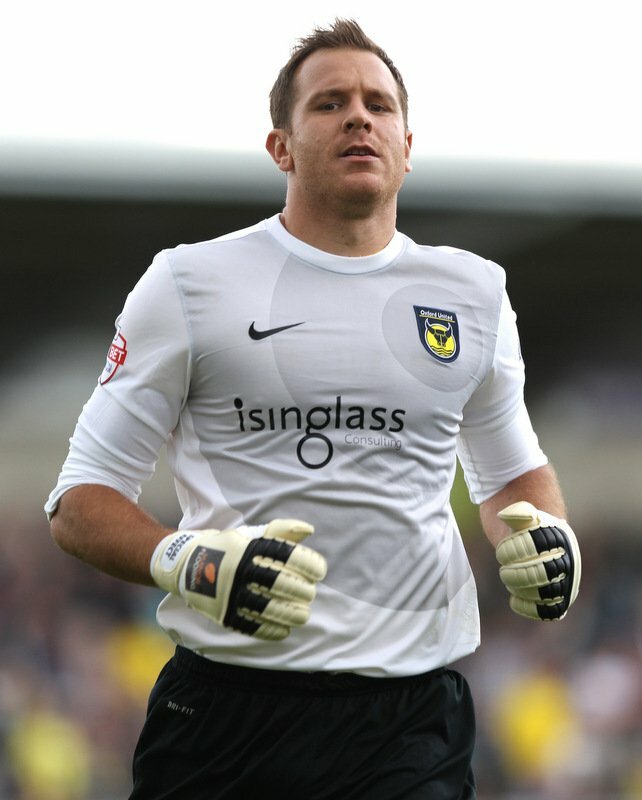 Out of all the clubs you have played for throughout your career, so far, why do you regard Oxford United as your favourite? “I think it is because of the success we had in the first season. The fact that we got promoted was something that I wasn’t expecting, but I know that was the pressure that we had to have. But to be honest, I went there, and I saw it as a big club to go to, but I obviously knew Billy was there, Billy Turley, and I knew how much of a character he was and how highly regarded he was at the club. So there was a massive percentage of me thinking that I was going there as a number two. But if I got a chance, I am going to take it. And to be fair to the manager [Chris Wilder], I touched base with him the season before when I was at Northwich [Victoria] and he said, ‘Look, if you come in and do well, you will get the shirt’. And to be fair to him, I done really well in pre-season and Billy didn’t play as many games as me. “Pre-season went really well and to be fair to the manager, Chris, he gave me the nod for the first game of the season. To be honest, I just didn’t look back since then. I think I was 25 or 26 at the time, relatively quite old nowadays, but at that time I felt like I was starting out again. I felt like I was back playing for my hometown club because it was exciting. There was loads of pressure. Obviously we had a few ups and downs a few years after that first promotion year, but inevitably I was delighted with how it went. It was just a bit sad how it ended really. You signed for The Yellows in May 2009. But, on the final day of the 2008-09 season, you starred for Northwich in a 2-1 victory against Oxford. Did you know you would be joining Oxford before kick-off? Or, had you already agreed a transfer to the Kassam Stadium already? 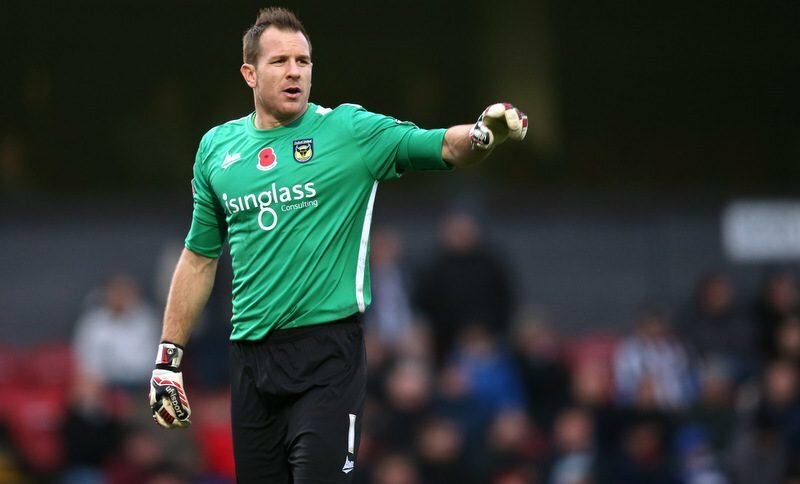 “We had a goalkeeping coach of mine, Ian Harris, he spoke to Chris [Wilder] a few times that season and recommended me to Chris. I think he watched me a few times, so we had touched base before the Northwich game. We didn’t speak about wages or anything like that, it was just, ‘Look, I want you to come here next year’. So that was good. That was exciting in itself, knowing that there was interest, but then I realised we had to play them on the last day of the season, and there were a few outcomes. “I don’t think it ever effected my outcome, whether I would go there or not, but I think if Oxford won and Stevenage lost, Oxford would make the play-offs. So the fact that I had got man of the match, and unfortunately Stevenage won, so they got into the play-offs, it didn’t effect it. Chris might have had a grudge against me if they had both lost, but unfortunately it didn’t matter as Stevenage won anyway. “But I spoke to Chris and touched base with him, got the final game out of the way and because I knew I was going there, it made the game a bit more exciting for me on a personal level, as no one knew but me. Even then, I tried to build a little bit of rapport with the fans. It all kicked off on the pitch, I was trying to calm everyone down. It was hectic that day. Chris came up to me after the game, shook my hand and said how well I did and then we just got it sorted in the summer. So there was basically a verbal agreement to sign for Oxford that month? What about any other clubs, did you receive any other offers during the close of that 2008-09 season? In your debut season at the Kassam Stadium, you played an influential role in helping the club return to the Football League after a four-year absence, defeating York City 3-1 in the Conference play-off final at Wembley Stadium. How much did that victory mean to you? “It was the best feeling in the world. It was the icing on the cake really because I had the disappointment of being let go by Bristol Rovers, which was my hometown club, and having to drop down two or three leagues, go part-time and work my way back up. Fortunately we had a really good season with Salisbury [City], the year I left, as we got promoted. So for me it was the icing on the cake because I had been one of those players that had to take a massive step back, work hard and maybe learn a little bit more. And to be honest, I think that is the way forward. Were you and your Oxford team mates confident heading into the Wembley final? “Yeah, we were confident. On the day, it was an actual blur. I can’t remember anything. Well, I remember one specific incident obviously! [Playing at Wembley] was a lot more daunting than I thought. The manager took us there a few days before and had a look round. The night before in the hotel, he brought Dave Bassett into the hotel for a chat, and that was one of the good things Chris was good at. He got Dave in and he said, ‘Look boys, you have worked so hard all season, don’t get all the way to Wembley, play well and lose. You have got to do whatever it takes’. “We knew we were a good team and we were backing ourselves, but he said, ‘You can win this game in the tunnel. You can intimidate them in the tunnel’. And love and behold, Billy Turley pops up in the tunnel giving their boys a load of stick and that, from bits in the press, and it would be bits like that that helped us on the day. So we went into the game confident, but to actually win it in the manner that we actually did was great. Before we come onto THAT incident, beating York that day in the play-off final, was that one of the best days of your life? Right, that clanger on the goal-line. In your own words, what happened? “I am blaming the gloves and the rain! But no, people will think this is a cop out, but I had been wearing Nike gloves all season and then for some reason, with about five games to go, I decided to change my sponsor to a guy with React [Sports], who I am not with anymore, hence why I don’t wear them! On the day, no word of a lie, it was the biggest amount of rainfall I have ever played in. It was that bad and my gloves were that wet. Obviously there was no wind inside Wembley. I went out in the warm-up and I was like, ‘Bloody hell! This is crazy. I have never played in anything like this’. It was like having a hose poured over you. “I went out in the warm-up before and I was wondering what I was going to do. This was bad, and the balls that we were using were not very good either, they were plastic coated. But anyway, I am not going to put any excuses out there. It was just a tiny lapse of concentration. A mistake of that magnitude in such a crucial game, mentally how did you bounce back from that error? What did [Chris] Wilder say to you? Oxford United’s Ryan Clarke concedes an own goal in the 2010 Conference play-off final against York City. What about your team mates, what did they say to you? When Potter slotted home the third and final goal, how did you celebrate down at the opposite end of the ground? “I think I done a Joe Hart thing, just ran around in a circle and went nuts! I actually fell to my knees because I was like, ‘Thank God for that! I haven’t cost us’. I would like to think over the duration of the season I had some influence on us getting promoted. If we hadn’t of gone up, it would have been absolutely soul-destroying under those circumstances. “But both goalkeepers didn’t have a good day that day. Ingy [Michael Ingham], who I know in goal, he should of done better with a couple of goals as well. It was just one of those days where mistakes were going to mean goals, and inevitably it did really. But thankfully it didn’t cost me, and it didn’t cost us. You were voted Player of the Year that season by the club’s supporters. They adored you. Are Oxford United fans the best you have experienced at a football club? “Oh brilliant! Like even now I will be walking down the street and it is, ‘Oh Clarkey, how are you doing?’ It is very humbling. They are so passionate about their football. Don’t get me wrong, it is a tough place to play when things aren’t going well. But, when things are going well, they are better than no other. Some of the away games and memories like Portsmouth away and Swindon [Town], when it is going well and they are behind you, they come out. As for your career now, you are currently at National League South side Bath City. How long would you like to continue playing for? “I think if I can get to 40 [years-old] on a part-time basis, at a decent level, then that would be my aim. Purely because Saturdays are football days and you just want to play football. I’m glad I have been through the negative experience I have had to prepare myself for when I do finish. But as long as I can play, I am at a good club now and I would like to think that being on a part-time basis, it is more beneficial for my body as well at the moment, because I have been doing it for so long. I would like to get to 40 playing part-time. After that, I don’t know. “I am fifty-fifty on whether I want to do the football coaching side of it. It is very time consuming and with a family, I would miss a lot of Christmases and weekends, but we’ll see. I have not given that total thought yet. In the meantime I am looking at all sorts of avenues to go down really. But I would love to go back to Oxford in some sort of capacity. But what will be, will be. Browny [Wayne Brown] is doing a good job there at the moment. But if they ever came calling and they needed me to do something, then I have got quite a bit of experience in coaching, especially with the younger kids and that. Is it true you turned down offers to play in the Football League this season? “Yeah I had a couple of offers to go to League Two clubs, but for me it is all about enjoying it and playing at the moment. Exeter [City] touched base with me, but things changed there. I was down near Torquay, but we [family] had made the decision to move back up to Oxford and it was just about finding the right club for me. I met the Bath manager [Jerry Gill] a couple of times, and I just took to him straight away! I thought he was brilliant. It is as professional as you will get for part-time, and the way he does things and he has assembled a good squad as well, which means we should be up there challenging. Oxford, Bristol Rovers, Salisbury, Northwich, Northampton Town and AFC Wimbledon are just a few of your former clubs. Looking back now, what has been the best club you have played for, and why? “It has to be Oxford. I am not just saying that, but it is just because of the success I had there. When I was playing for Bristol Rovers, that was a different sort of feeling because there was no expectation of getting promoted. I was playing at a time where it was just me making sure I play well for myself, because I had just come into the game and that was my dream to play for Rovers, who I supported. I absolutely loved it. But again, when I got let go there, it was gut-wrenching. I remember sitting in the car and having a right tear up because I just wasn’t expecting it. What about the worst club you played for? “Northwich Victoria, even though it was a blessing in disguise. I was playing for Salisbury and we had gone full-time, it was a really good club. We went full-time when we got into the Conference, but then they went into administration. The guy running it pulled the plug and like four or five of us, like Matty Tubbs and a couple of others, had to go out on loan. So I went up to Northwich, and I didn’t get paid. That was an absolute nightmare. The boys said as soon as I walked through the door, ‘You what?! What have we done here? We are not getting paid’. Onto team mates. At Oxford United, who was the best you played with? Who do you reckon is the best striker you have played against? What about the best manager you have played under, at any club? He is currently managing in the National League South, but would you tip Gill to work his way up the divisions, then? “Yeah, he has done a lot of academy work and he has obviously got to earn his stripes as a first-team manager, but the way he puts his thoughts across and the way he wants his team to play, it is something that I haven’t seen before. It is very good. He has also got a ruthless streak in him, which I think is good to have. I think if you are too ‘nicey nicey’, it can hinder you a little bit. And how about the worst manager you’ve ever played for? “I am going to have to say Ian Atkins at Bristol Rovers. I know it was a long time ago, but compared to a modern day manager, Ian just shouted really! Just shouted and moaned. I was playing really well for him, but he was just quite old school and just a bit of a shouter really. His team was just very physical. What was the best game of your career? One where you individually performed really well. How about your worst performance between the sticks? Looking at how goalkeepers are asked to play nowadays, considering the styles of the likes of Ederson (Manchester City), Alisson (Liverpool) and Manuel Neuer (Bayern Munich), how do you think your career would have fared had you been asked to play out from the back? 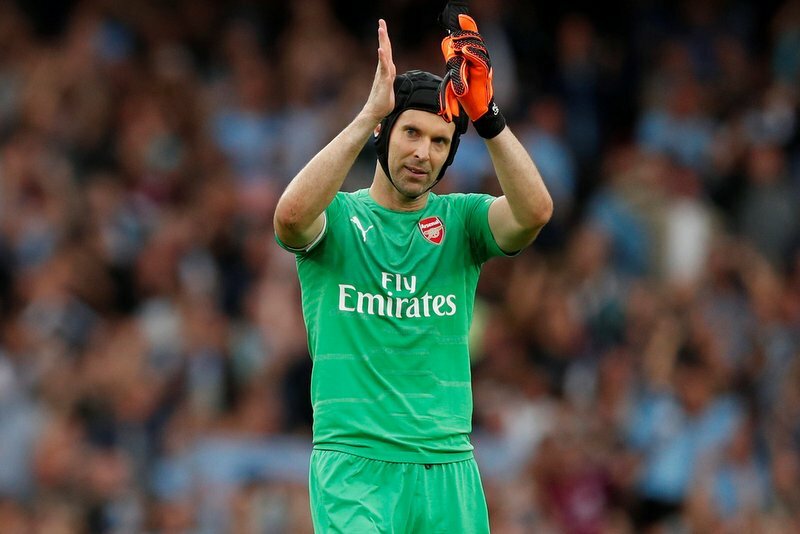 Take for example, Petr Cech’s struggles under new head coach Unai Emery at Arsenal. “I’m not sure because I have never practiced or played the way these guys want to play. But if I were a young guy coming into it, then you would have had to practice it. I am not sure whether I would have been very good at it, or if I would have had the right coach to teach me to do it, but yeah, I am not sure how my career would have gone. All I have known is to play safe. Play it into the right areas. But at Bath now, he [Gill] does want you to play out from the back, but in a way that I am capable of doing, not taking risks playing football. But these guys now like Kasper Schmeichel, your Edersons and Alissons, they are just one-offs. How it would have gone for me, I don’t know, because it was just never like that. Even when I played for Oxford during those six years, with Chris in charge, it was sort of safety first football, but he wanted you to get the ball forward as quickly as we could. “Now there is a lot more strategy behind it. You see these guys like Ederson and Schmeichel, it is unbelievable to see. But at the same time, Pep Guardiola, he got rid of Joe Hart because he didn’t want him to play it out from the back, or he wasn’t playing the way Ederson does. But he has gone to Burnley and got three or four clean sheets because he is playing how he has been trained, which is getting the ball forward. He has reignited his career a little bit, really. So for someone like Cech, who is the same age as you , do you feel sorry for the Arsenal shot stopper? Off the pitch, you have a lovely family – wife and two kids, two charming young boys. What do you want for them in life? “I just want them to be polite, respectful, have manners, have goals, be confident and just have an open mind to every walk of life really. As a father, I would like them to do football, but I wouldn’t push them. Having been through it myself, I would like for them to look at different avenues, just because of my experience with it, I would like them to be a bit more open minded in life. “Oh, they will do! I will take them to as many games as I can, when I get the chance. I will take them to Oxford because it is a nice place to go and watch football anyway. It is on our doorstep and obviously I know quite a few people there as well. I want them to play football and enjoy it, but I am certainly not going to push them to have that as their number one priority. And your father, Ernie, an amazing man, who sadly passed away in 2016. Not only was he your dad, but your best friend as well. How much of an influence was he on your career? “If it weren’t for him, I wouldn’t have done anything that I have done. I think he just wanted me to do something for me at a young age, and taking me to every single training session, travelling the country, even when I was just on the bench at Bristol Rovers, he would travel up to Carlisle [United], just waiting for me to get on that pitch. It sounds as if he was, and still is, your inspiration? “Yeah he was, as a person as well. He was a character. He never took himself too seriously, so I would like to think that I have got that in me as well. If I want to play about or play a prank, then I’m happy with that, I love all that stuff, but that comes from him. Some people can take themselves too seriously, but he was the total opposite. He followed me all over the country, just waiting. When I got my debut, he was there. I came on for Bristol Rovers with like 10 minutes to go at Rochdale, and he went all the way up to Rochdale. I had come on, and after the game, he walked onto the pitch. He didn’t let any stewards stop him, and he stood in the goalmouth and I got someone to take a picture of us on the pitch at Rochdale. Another great man, former England goalkeeper and Oxford United coach, Alan Hodgkinson, also sadly passed away in 2015. What was he like to work with? And, what influence did he have during your time at the Kassam Stadium? “When I walked through the door, I met ‘Hodgy’ and he looked at me and he went, ‘This is a big club this lad!’ I was like, ‘Really?’ And I was sort of thinking, ‘Well, it isn’t that big…’ But he laid the ground down straight away and him saying that was his way of saying what he expected of me and his standards. You need to be on it if you are going to be playing for a club like this. I got on well with ‘Hodgy’, brilliantly. He really took me under his wing. I think he had worked with a lot of guys, in the game at a lot higher level, that he didn’t really take to because of attitudes or stuff like that. He would always tell me stories about certain players cropping up in the leagues where he was working, Manchester United and stuff. He didn’t like them because of their attitude or their personality. “But I think he really took to me because he had seen where I had come from. I had gone down to the lower leagues, worked my way up and he really took me under his wing. He was a massive, massive factor for me and I have so much respect for him. I knew who he was and I knew what he had done in the game, and yeah, he was probably the biggest factor in why I did so well at Oxford. Purely because of our little chats and more about how he wanted me to be as a person around the place. When you go out there, it is about how to not let anything faze you. When you were going into different situations, he could always look back at his career and say what mentality to have and to not let things faze you and how to play things, play it safe. “He would just drop me little comments, like when things were going right, he would give me a little wink, ‘Keep it going! You are on a good one at the moment’. Things like that. It was the little things that stick in your head. The training was very basic, but it was ideal and brilliant for me. Not too complicated, but again it was more his experience with passing over his knowledge of game management that was what really helped me because it probably stopped me making rash decisions in games. 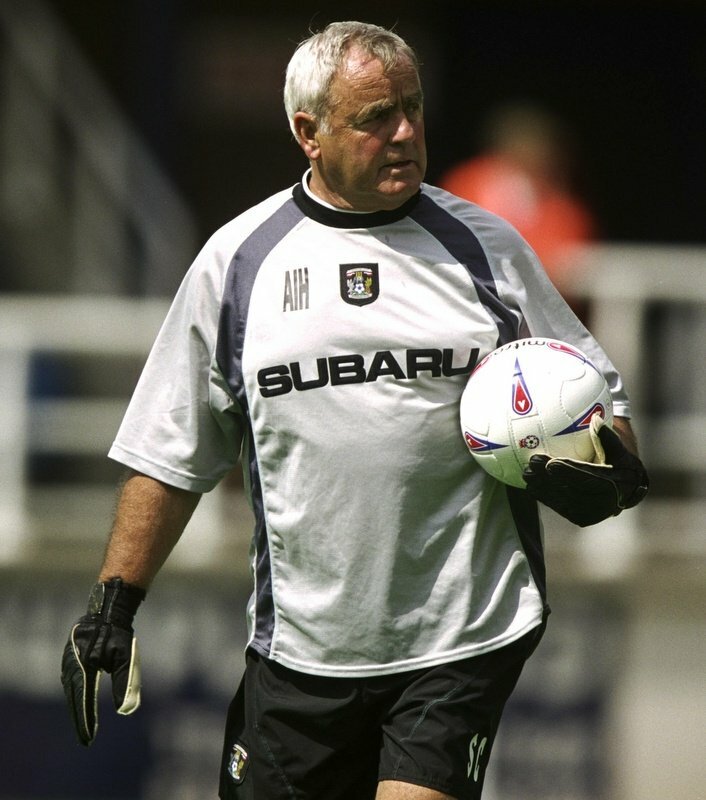 Former Oxford United goalkeeping coach Alan Hodgkinson MBE. “I think it came more as a shock to other people than me, how things went. When you have prepared vigorously for these games, and you feel very privileged and you are playing week in week out for such a good club, when that was taken away from me, it just stumped me massively. I sort of blame myself a little bit for not reading between the lines when signing for Northampton, because if I did, maybe I wouldn’t have rushed into the decision of signing for them. Rather than seeing it as, ‘Oh yeah, it is Chris Wilder, I did really well for him. I’ll go there and he is going to play me’. Which wasn’t the case. “But once I had initially got over that period, it was back to trying to be a professional again. I do my work day in day out, but not playing games on the Saturday was just an absolute… it messed my head up! I wasn’t injured. Whenever I got injured, I saw it as a challenge to get back fit and come back stronger. But when you are just sat there and feel like you are picking up your money and not offering anything, and you are not getting that buzz on the Saturday, the highs and lows, when that is taken away from you, it was just crazy how it affected me. I wasn’t prepared for it and what coincided with that was all the family stuff. 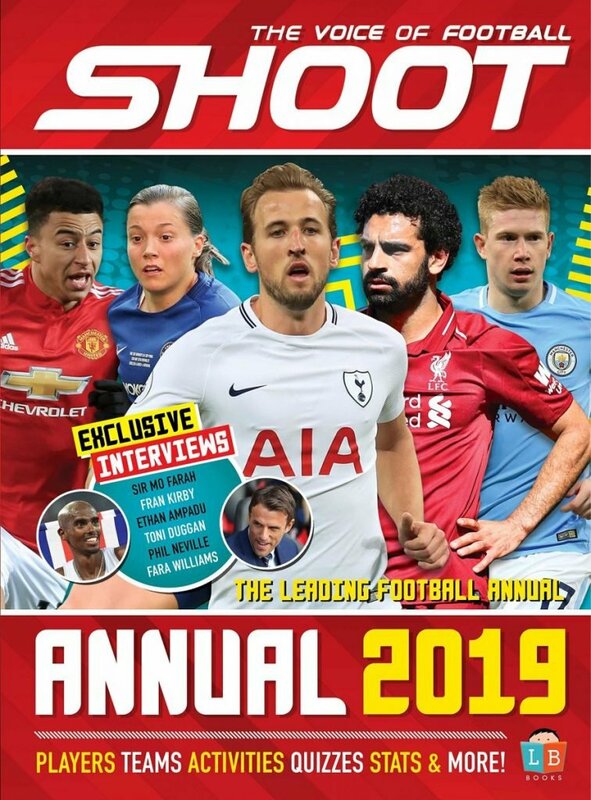 I just got to such a low point that I had to go and speak to the PFA (Professional Footballers’ Association) and seek some help because I just wasn’t coping. “That is where I started the road to recovery. The PFA got involved and I just opened up about it. That helped massively because I felt a better person for doing that, purely because of the feedback. I am so glad that other people are coming forward and helping out, because people think that, ‘Oh, they [footballers] have a dream job, they are getting paid to play football. They have got no worries in the world. You are getting quite decent money for it’. But it is not that, it is what comes with that. You were diagnosed with depression and have been taking medication to aid your recovery. Mental health is vitally important to anyone, and everyone. What is your message to others who maybe suffering from depression? “It is about taking the first step. If you can talk to someone, that is the first step. Whether you have got to pay £35 or £40 to do a session, just do it. I didn’t have a connection with some of the counsellors, but the fact that I was just going in and opening up, I ended up walking out a different person. You might not be able to do that with the people closest to you. I am quite stubborn with people close to me. Not because I don’t want them to know, but I don’t want to be a burden to them. I can deal with it. I don’t want to be a burden to you, and my wife, my boys. I can deal with it. I will get myself through it. “But I let it go on for so long thinking that I could deal with it, that it just got to a point where I couldn’t. So I had to take action. The main thing is not to feel like you have to deal with it yourself. There are so many people out there to speak to. You are not going to go and have four or five sessions with a counsellor and they are going to make you a better person, they are going to make you healed. But, what you will do is come out and you have offloaded everything. You might get through a box of tissues like I did in my first session, but you have come out and you feel like you have done something about it. That is the first step. “Whether it will be you having an argument with your wife, or the reason you are not telling your missus, mine was because I didn’t want to be a burden to them or her. I felt like I could deal with it. But I think it is slightly improving because there are more people coming out talking about it. The more and more people talk about it, the better. It is amazing the feedback. When you get the feedback of people talking about their problems as well, without sounding happy to hear that others have also got problems, you are happy to see them talking about it. It makes you a stronger person for opening up and talking about it. You are actually weaker if you don’t because you are not showing the strength to go on and go and speak about it. And how about now; how are you, your family and your recovery going? “I am in the best place I have been since I was playing at Oxford. I have got my two children. I have got a different outlook on life now. I was very tunnel visioned and probably very selfish when I was here with [Oxford] no responsibilities and just had football. In a good way, I was very professional and I was very tunnel visioned with football, which was good because it was what I lived and breathed. But now, it is nice to be in a place where my main aim was to find a football club that had the professionalism and the goals to do well, because that will always be in me. “Along with that, I have got my responsibilities and my family and my children, which is the most important thing. Yeah, I am in a good place. I am still on medication, but the dosage isn’t as high. They say you should roughly be on them for about two years. I feel like I am just coming up to the two-year mark now, and I just feel like it is all on track to finish and come off them totally, depending on how the road to recovery goes. But the main thing you need to do is stay on top of things in terms of talking to people. There is no harm in that and that is the biggest battle, to keep talking about it. Just not to bottle anything up really. Because if you bottle things up, that is where you start to have problems. “It might be someone who you don’t get on with where you work, no matter what line of work you are in, but you might see a different side to that person if you have a conversation with them. So I am on track really, with how the doctors told me it should pan out, which is good. “That is the main thing, it has helped others. I don’t want any praise or anything, but I am so glad and thank you for saying what you said. These football fans, they do hold you in such high regard, and the fact that they have seen me come out and open up about it, it makes them think, ‘Well, if he can do it, I can do it!’ They must look at me and think, ‘He must be strong minded. You must be able to deal with anything. He is a fit guy’. But then they have seen this other side to me, when I was weak as hell, mentally for whatever reason. The fact that they have seen it and they have probably thought, ‘Well, if he can do it, I can go and get help. Because if Ryan Clarke is going to get help, and he is a professional athlete, then I should be able to go and do it’.